These delightful titles build early-language, movement, and social-emotional skills. 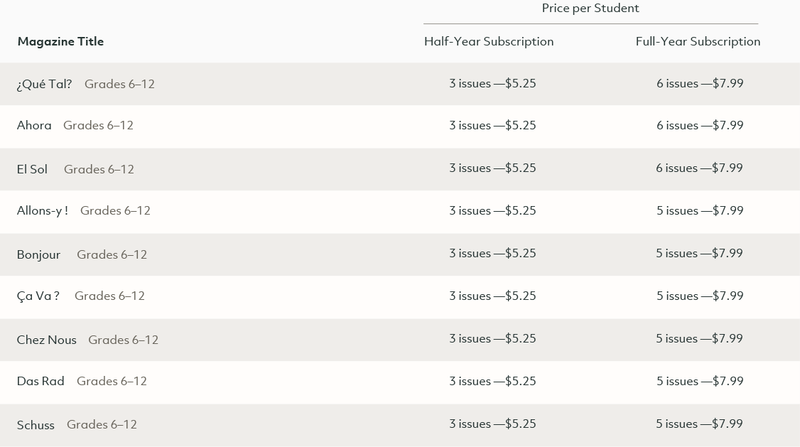 Large volume discounts available. Please call 1-800-387-1437. Get children excited to read and learn with irresistible nonfiction titles for grades 1–6. 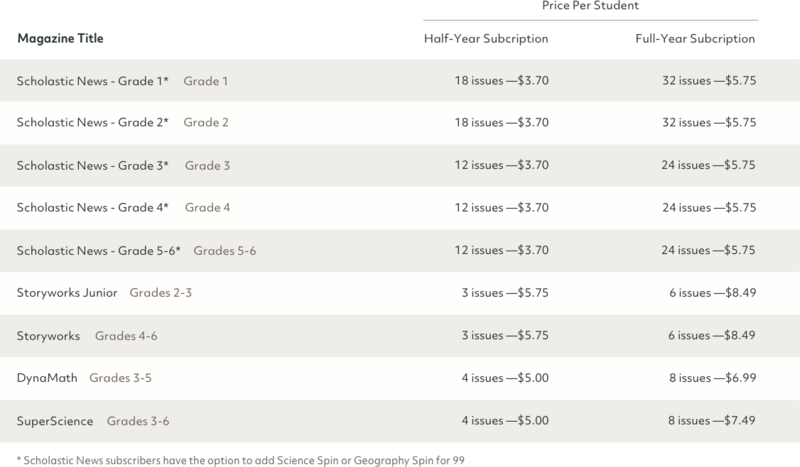 Supplement your curriculum with these complete print & digital teaching packages for grades 6–12. Immerse your students in languages from around the world. Brilliant ideas from real teachers—delivered! 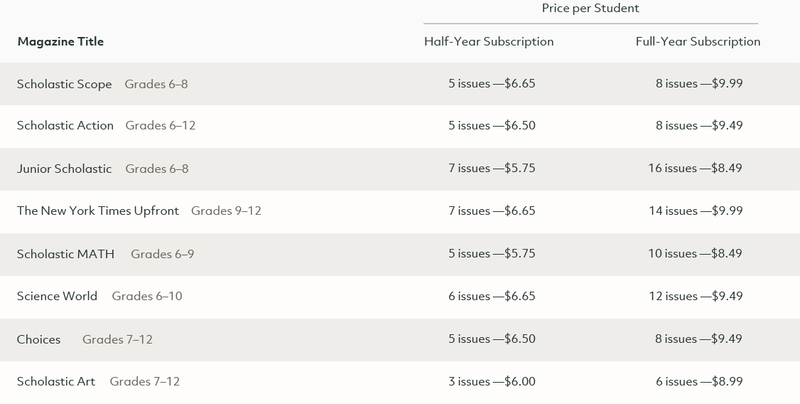 Orders delivered in the U.S. are subject to a 10% shipping and handling fee for magazines. State law requires that sales tax be added to your invoice unless we have a sales tax exemption certificate on file. If you are exempt from sales tax, please fax your sales tax exemption certificate to 1-800-560-6815 or mail to Scholastic Inc., 2931 E. McCarty St., Jefferson City, MO 65101. Storytime Spin, Science Spin, and Geography Spin cannot be ordered separately. 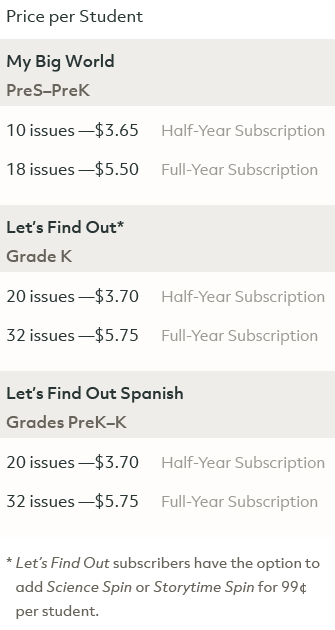 Storytime Spin and Science Spin are only available as add-ons to a Scholastic News or Let's Find Out subscription and must be ordered in the same quantity as your Scholastic News or Let's Find Out subscription. 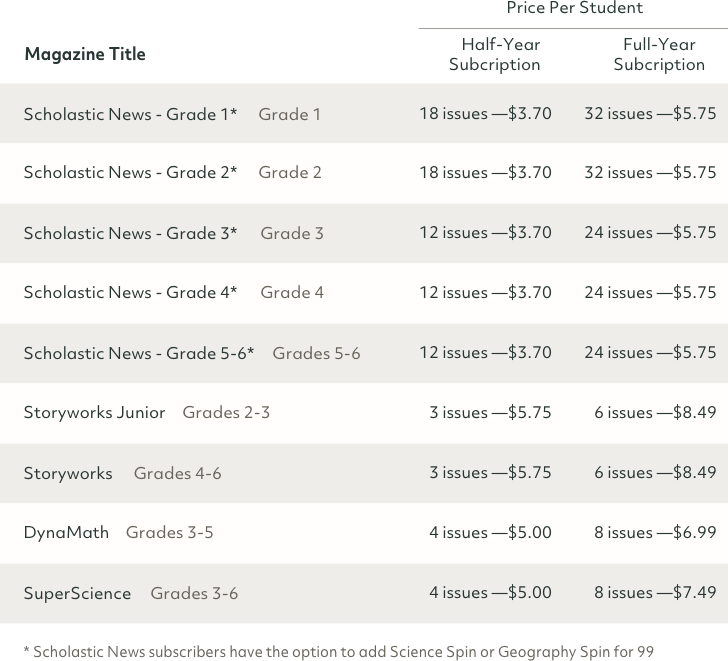 Geography Spin is only available as an add-on to a Scholastic News for Grades 3, 4 or 5/6 editions and must be ordered in the same quantity as your Scholastic News subscription.